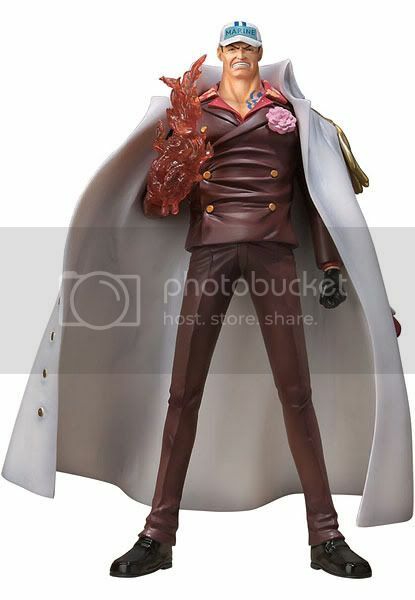 Bandai is going to release the Figuarts ZERO: Akainu Sakazuki PVC figure from the manga/anime One Piece. This figure will be released in March 2011 around 3,500 yen. Here they are the 3 Marine Admirals in One Piece series, Akainu, Aokiji, and Kizaru come into a figures. For your info, all of them are being released in a very limited quantity, so hurry grab them before it’s too late. The Figuarts ZERO line I think is a more affordable option to the Megahouse's Portrait of Pirates line.